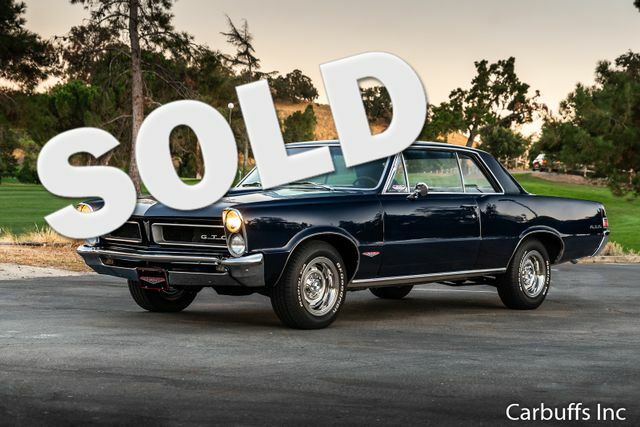 Original PHS documented GTO. Nightwatch blue exterior with black interior. Factory AM radio was converted to AM/FM functionality by Mike Hagan Antique Auto Radio. Custom front kick panel speakers plus rear package tray speakers. Original headliner has a few small holes. Seats look great. New windshield wiper motor. Clean interior. Originally a 389 4bbl with 3 speed manual and now has a great running 1970 GTO 400 with 4 speed manual transmission. MSD Pro-Billet distributor, coil and ignition controller. Max Performance Cold-case aluminum radiator with electric pusher fan. New fan shroud. FlowKooler Hi Flow water pump. New fuel pump, sending unit and all underhood hoses. Recent suspension work includes full front end rebuild including: Proforged upper and lower ball joints, tie rod ends, center link, idler arm and control arm bushings. Also added an Inline Tube power front disc brake kit and a rear sway bar. New body mount bushings. Runs and drives great. Clean California title.